A collection of English fine bone china dipping or finger bowls, hand made and decorated in Staffordshire. My original acrylic and ink paintings have been professional reproduced using silk screen techniques. The images are then applied by hand to each bowl and kiln fired. 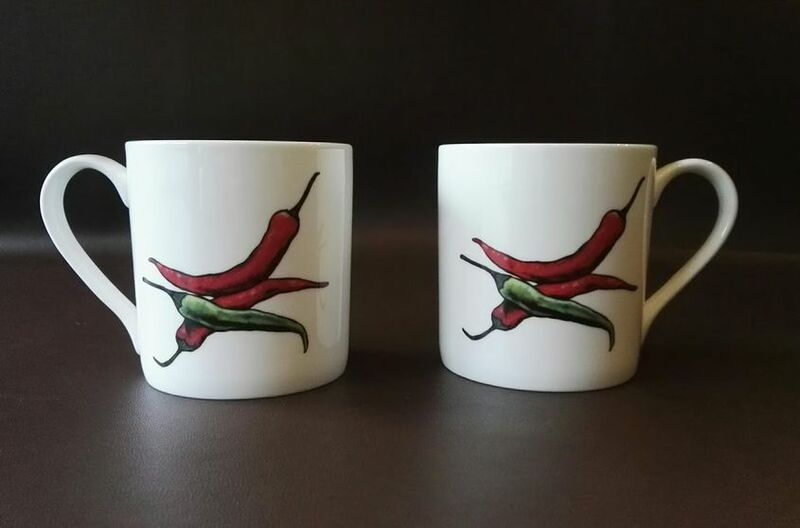 The combination of English fine bone china and the specialist printing process produces high quality pieces which are dishwasher safe. Each bowl measures approximately 5cm high by 11.5cm diameter at the top rim.